BettingSite.com.au has got over $2500 worth of bonus bets available at 10 different bookies. Our no.1 offer for the 2017 Melbourne Cup is a 100% matched deposit up to the value of $500 at Neds.com.au. It’s important to note that these offers exclude NSW, South Australia, Western Australia and Victoria. Although there is nothing to stop a bookie making you an offer, soon after you join, with a similar bonus bet deal. Trusty old Sportsbet is giving new customers up to $501 in bonus bets upon sign-up. They also have a cash back offer on races 1, 2 and the big one on cup day, with the maximum amount given back on each racing being $25 in bonus bets. 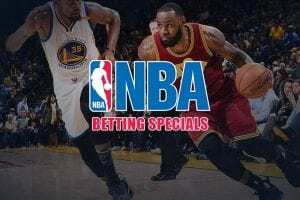 Deposit $25, bet with $100 is an exclusive BettingSite.com.au deal with leading bookie Crownbet. The second welcome package available at Crownbet.com.au is a 300% deposit bonus up to the value of $300. On Cup day Crownbet is also running several cash back offers, which you can view on the site, plus unlimited odds boost with your Crownbet Rewards points. William Hill is giving new punters a 100% deposit bonus, up to the value of $502. The bookie is also running several other exclusive promotions on Cup day. Topbetta is giving readers of BettingSite.com.au the opportunity to deposit $50 and receive $150 in bonus bets to use as desired. Another promotion Topbetta is running on the Melbourne Cup, is the ability to place a win bet, and then have it the odds multiplied by the margin of the victory, with the extra amount paid in bonus bets, up to the value of $1000. 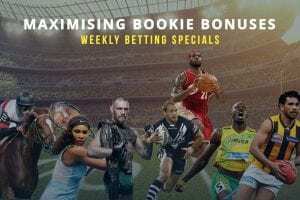 A personal favourite of the crew at BettingSite.com.au, because they accept a big bet, Luxbet is giving new customers a 300% bonus up to the value of $150. This means you can deposit $50 and receive $150 in bonus bets. This International bookie is giving new customers a deposit bonus up to the value of $250. 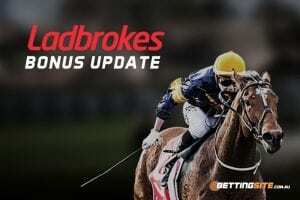 Ladbrokes is also running its enhanced odds special on selected races on Melbourne Cup day. Backed by the NSW bookies co-op, Palmerbet is giving new customers a 100% deposit bonus up to the value of $250. Another promotion Palmerbet is running is by using the promo code PBRACING500, which will net you up to $500 in bonus bets. Unibet is giving new customers up to $80 in bonus bets, which means you can deposit $20 and have a total of $100 to bet with. Other promotions running at Unibet on Melbourne Cup day include Unibet streak and cash back offers. * It’s important to note the following offers only apply to new accounts, barring selected promos mentioned. Remember turnover requirements apply and to always gamble responsibly.